Disillusioned, disenfranchised, and disinterested in anything churchy, Susan Isaacs knew of only one thing to do when she hit spiritual rock bottom at age 40. . . . She took God to couples counseling. In this cuttingly poignant memoir, Susan Isaacs chronicles her rocky relationship with the Almighty—from early childhood to midlife crisis–and all the churches where she and God tried to make a home: Pentecostals, Slackers for Jesus, and the über-intellectuals who turned everything, including the weekly church announcements, into a three-point sermon. Casting herself as the neglected spouse, Susan faces her inner nag and the ridiculous expectations she put on God—some her own, and some from her “crazy in-laws” at church. 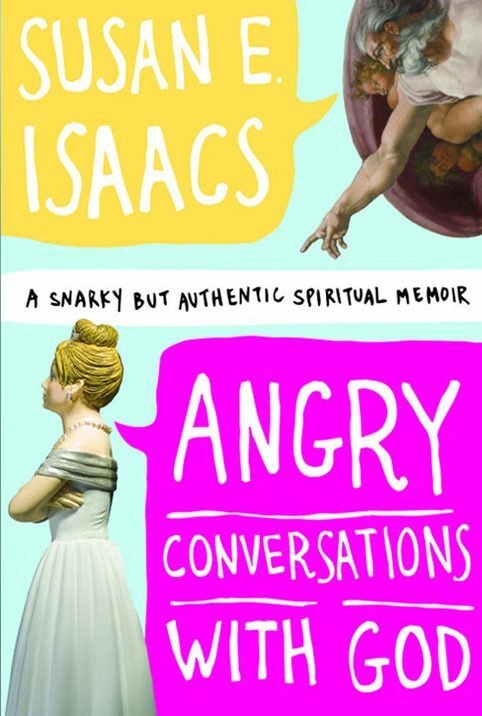 Originally staged as a solo show in New York and Los Angeles, ANGRY CONVERSATIONS WITH GOD is a cheeky, heartfelt memoir that, even at its most scandalous, is still an affirmation of faith.